A common belief is that creativity is best cultivated through artistic and musical activity. Is this actually true? What does it mean to be creative in music? What are the characteristics of creative pupils, students, and professional artists? What are the features of a creative music teacher, and what does it mean to teach creatively? Questions such as these are of interest to a sizeable community of musicians, music educators, and representatives of music education policy. They are indicative too of the complexity surrounding a topic well known to politicians, researchers, educators, and creators as a remarkable phenomenon in the context of the human being. Seventh in the series European Perspectives on Music Education, this book will be of interest to students, teachers, researchers, and all who want to join a creative journey in music education scholarship. 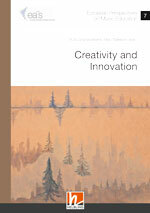 It contains multiple voices on the theme of creativity and innovation from Austria, Belgium, Cyprus, France, Germany, Lithuania, the Netherlands, Norway, Sweden, and the United Kingdom. The contributing authors have been invited to address the concept of creativity, share practices in fostering creativity in a variety of musical contexts, and generate ideas for research and innovative projects. 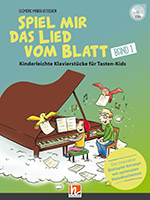 Chapters are organised in three inter-related areas: concepts of creativity; creative teaching and teaching for creativity; and creative music teacher education.